Today we are speaking about Mediterranean Diet. 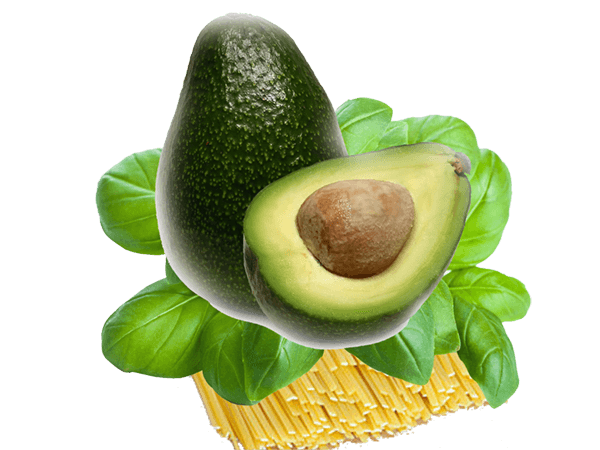 In particular, I’ll describe you a tasty recipe: pasta with avocado, a very healthy first course. In fact, the avocado is a tropical fruit able to control the level of cholesterol due to the fact that it contains fatty acids omega 3. Moreover, recent studies claim that eating avocado could prevent important degenerative illnesses such as the illness of Alzheimer. This recipe, taken from the Mediterranean Diet, is characterized by the important properties of the avocado and those of basil. Some leaves of basil indeed can make our plates very tasty but also healthier, because they contain antioxidants useful for arteries, the cardiovascular system and able to protect our body from some types of cancer. Basil contains also anti-inflammatory substances, it can help digestion and can protect hair and skin. Mix in a cup a spoon of vinegar, a little salt and fresh grinded pepper. Add then 5 spoons of olive oil and mix. Stone the olives and cut them into small pieces, wash the basil, break it into pieces, wash the tomatoes and dice them. Put all these ingredients in a bowl, add the vinegar-oil sauce and mix. Peel, stone and cut an avocado and add lemon juice in order to avoid that avocado becomes dark. Cook pasta in salted water and use as a dressing the sauce composed by tomatoes and avocado.